Right folks, I’m on fire for these last few days before we go on holiday again! I think I’m going to manage to get this day, and day 15 written up… leaving just two more days of my Halloween in the Wilderness 2015 Trip Report to publish. If I can do it I will, but if not, they’ll be the first thing I’ll do before starting my next trip report: WDW-40 2016! Another day with pretty much just food from Epcot Food & Wine Festival, and dinner at Yachtsman Steakhouse. It was also another day with just Steve and I, whilst Liam went off into Epcot to go on rides. I guess this was all a practise run for our adults-only trip this year! We’ve dined at Yachtsman Steakhouse before, in 2014, and had such a great meal there, so was looking forward to returning. All photos from this day can be found on my Flickr here. We visited Disney’s BoardWalk for a little while before catching one of the Friendship Boats over to the International Gateway at Epcot. Before heading in, we decided to enquire about upgrading our existing Disney Park tickets to an annual pass, as we would be coming back the following year. Somehow, the Cast Member managed to erase our Magic Band details whilst trying to work out the price, so it was quite the palava to get all of that sorted out. We didn’t upgrade in the end, and planned to do it on our very last day… we forgot. Annoying really as we have had to buy tickets for our upcoming trip – it would have saved us some money! 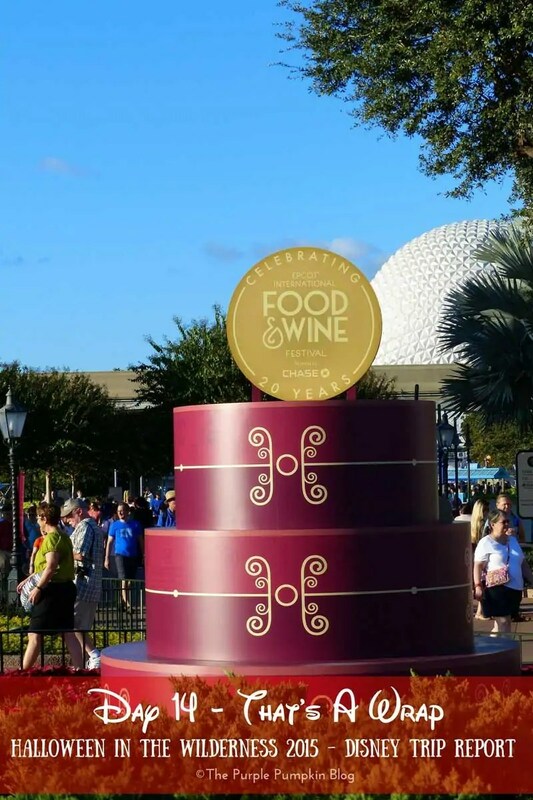 Anyway, back to the Food & Wine Festival. We walked through the UK, and Canada Pavilions (where we stopped to watch the lumberjacks rolling on the log), before buying our first dishes of the day from the Greece Booth. We used 1 meal credit at Greece, and the dishes we had are listed below, along with a mini video/voice review of them all. Up next was Dominican Republic, which I believe was the first time for this booth at the festival. We used 3 snack credits here. From the Refreshment Port, we bought a Cronut ($4.99) – a croissant/doughnut hybrid that everyone seemed to be raving on about. We bought this with a snack credit. It was nice enough – it’s just a lighter textured doughnut really!